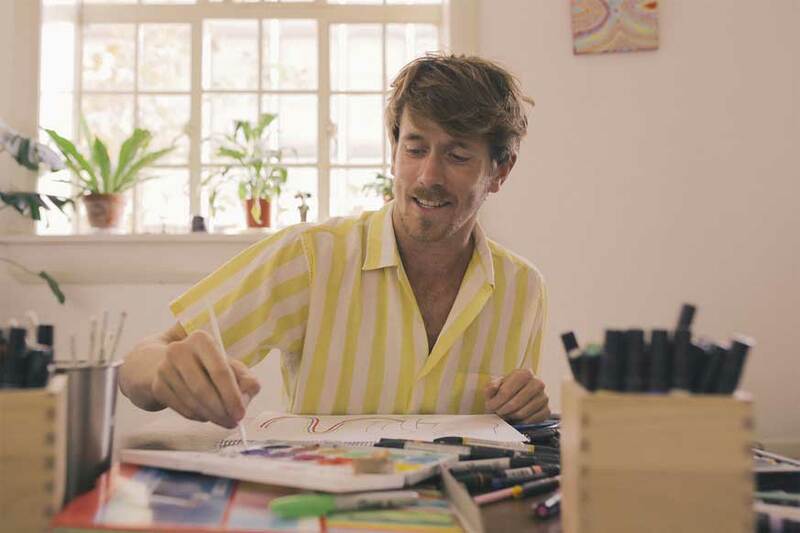 We are delighted to welcome Illustrator and Film Director, Stefan Hunt, to The Drawing Arm’s creative ranks. Stef’s work is naive yet poignant, and a reminder that we were all once children. His favourite subject matter is death, as it puts everything into perspective and is the most universal truth we all share. In 2017 he launched his most ambitious creative project yet, We’re All Going to Die. Consisting of a published book, a short film and sold out multimedia art festival in Sydney and, most recently, Byron Bay, it aims to empower people to fear less and live more. The festival has also toured New Zealand and the USA. Having already worked with us to deliver an illustrative makeover for a well known not for profit (visuals to be released shortly), we can’t wait to see what Stef does next.